I don’t want to tell anyone how to spend their money. I am still just a few years removed from having a Velcro wallet (don’t make fun of it unless you’ve experienced its convenience and practicality first-hand). I’m the last person anyone should listen to for advice on what actions they might want to consider financially. With that being said, here’s some financial advice for anyone who might be trying to make some money, and is willing to gamble to do so: put some money on the Bruins as soon as possible. Not on the next game, or the game after that, but on the outcome that they win the Stanley Cup. 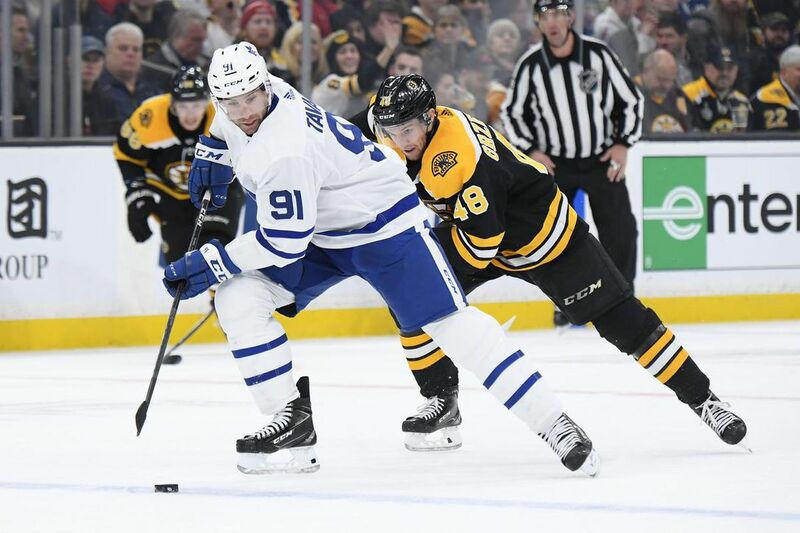 The Bruins put away Toronto in the first round of last year’s playoffs, and were undermanned and too banged up to compete with a healthier and yes, more skilled Tampa Bay squad. At first glance, the road to the Stanley Cup Finals from the Eastern Conference again runs through Tampa Bay, a team that the Bruins would be slated to play in the second round of the postseason. Certainly, Tampa Bay is a better team this year. Go ahead and glance at the standings. It’s obnoxious how successful they have been. But with their success, comes serious opportunity not only for the Bruins but for those who might want a strong Stanley Cup pick with high value and serious capabilities of knocking off the Cup favorites. Lost in the tomfoolery that has been the months-long highlight reel of a season the Lightning (Bolts? What do we call them these days? 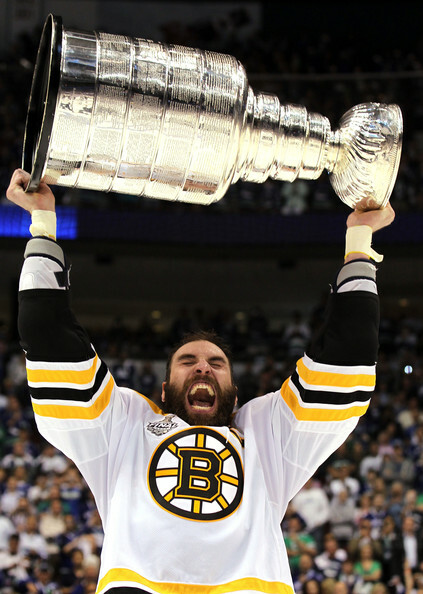 ), is the fact that the Bruins have strung together an immensely impressive season. Like, “the next best record in the league” impressive. A lot of people will look at the disparity between the point totals of Tampa and Boston (the next closest team), and fill in their Stanley Cup brackets early, in pen, with Tampa as the champs (I tried to think of a Tamp/Champ pun here…don’t try, there isn’t one). But I am not a lot of people. In fact, like most individuals, I am only one person. So as someone who has been able to track the successes of the Black and Gold this season, I’ve been able to note that they’ve been thriving despite ridiculous amounts of adversity. Their top eight scorers have missed a combined 93 man-games. That comes out to more than 11 games per man, and this number would be even higher if not for the iron-man season that David Krejci has put together. Their top defensemen have missed a total of 136 man-games, which comes out to closely 20 missed games per defenseman. Their prized goaltender went down with a concussion midway through the season, and the Bruins needed to rely on the play of Jaroslav Halak (though it should be noted that he has been stellar this season). 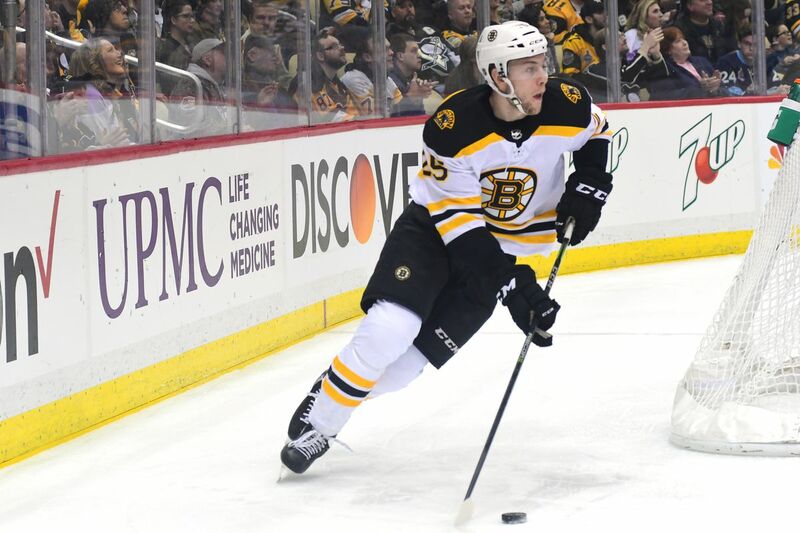 The Bruins’ lineup has been constantly in flux, with more than a dozen call-ups from Providence having joined the Bruins to serve as wads of gum plugging any proverbial holes in the lineup, while a more permanent fix had yet to be discovered. Kevan Miller has been unable to stay healthy, which has forced a solid depth defenseman who brings toughness, leadership, and reliability to remain sidelined at times where the Bruins could have greatly benefitted from his play. All this to say that the Boston Bruins have outperformed, in my opinion, all other teams, including Tampa, in the NHL. When taking into account the absurd amount of instability in their lineup, unparalleled susceptibility to the injury bug, and total man-games lost (not to mention how many of those man-games lost are those of key players), the B’s have rallied at the right times. As things stand now, the Bruins appear to have outlasted most of their toughest times and are well on the road to total recovery in health in the next week or two. This leaves enough time for a completely healthy Bruins roster to find chemistry and togetherness just as the postseason rolls around. Not to mention, many of the players coming back from energy have saved themselves from the fatigue that accompanies the latter stages of each season. Fresh legs heading into the playoffs? Please and thank you. While, yes, Tampa is a better team than they were last year, you are a fool if you don’t see the significant improvements in the Bruins’ team from last season. Brad Marchand, Patrice Bergeron, and David Pastrnak are all having career years in terms of points per game. For those who hate stats and don’t believe in numbers, these same players that make up the best line in hockey are also all one year hungrier. Jake DeBrusk is hitting his stride at the right time of the season and has already significantly outscored his goal total from last year. We all remember what a hot DeBrusk looked like in the postseason last year. I could go for another helping. The Bruins defensive unit and goaltending tandem, as a whole, are significantly deeper. The B’s no longer have to rely solely on the play of Tuukka Rask, as they have found themselves a safety net (who safeguards the net…anything?) in Halak’s play. If Rask falters, Bruce Cassidy has shown no issues with putting Halak between the pipes and letting him compete, something that has brought the best out of the bona fide NHL starter. Matt Grzelcyk’s play is head and shoulders ahead of where it was last year at this time, while a healthy Brandon Carlo improves a unit that has been rock-solid for the most part with his +17 rating, tops amongst Bruins defenseman. If you want to see a healthy Bruins squad facing off against a healthy Tampa team looks like, then might I interest you in the 4-1 beatdown the B’s put on the Bolts on February 28th? Final: Bruins take down the Lightning, 4-1. Dominant stuff from the Bruins, who end the game with a 41-21 edge in shots on goal. The B’s are slated to play the Lightning again in a few days. I would say it is a good measuring-stick game for them, but there’s no way to know if they will be fully healthy, especially given the horrible luck they’ve endured this season. Although it is worth noting that the Bruins have not lost a game in which Charlie Coyle and Marcus Johansson have both been on the ice. No lineup changes tonight. Tuukka Rask starts in goal. Torey Krug will skate on his own this morning. So if you like money, making money, having money, or enduring ridiculously high-stress levels to maybe make some money, then put a few bucks on Butch’s boys. They are underestimated, hungry, and ripe with talent. And to close, I will now make a horrible joke about lightning never striking in the same place twice, despite that expression’s total irrelevance to the National Hockey League. Congratulations on making it through that. The Bruins came into this one with a point or more in their last 17 games. They looked to continue that streak against a struggling Panthers team. The big pre-game news was that Karson Kuhlman would sub in for Jake DeBrusk who is dealing with a lower-body injury. Not much really happened of significance early on until Matt Grzelcyk took a hooking penalty, but it ended with a fairly routine penalty kill for the Bruins. It was a pretty cut-and-dry period all around. The shots were 10-9 Florida. Things got interesting early with a near goal by Brad Marchand, and a tripping penalty called on Brandon Carlo. Florida converted on an Aleksander Barkov tip to make it 1-0 early on in the power play. David Backes and Joakim Nordstrom nearly connected for the equalizer almost immediately afterward. Misfortune continued for the Bruins when Jonathan Huberdeau scored early on in the power play that resulted from Zdeno Chara’s delay of game penalty. The goal was reviewed for a high stick, but the call on the ice stood. A little more than halfway through the period, the Bruins finally found their way on to the scoreboard thanks to a really nice give-and-go between Danton Heinen and David Krejci. His 17th goal of the season was assisted by Heinen (16) and Backes (10). 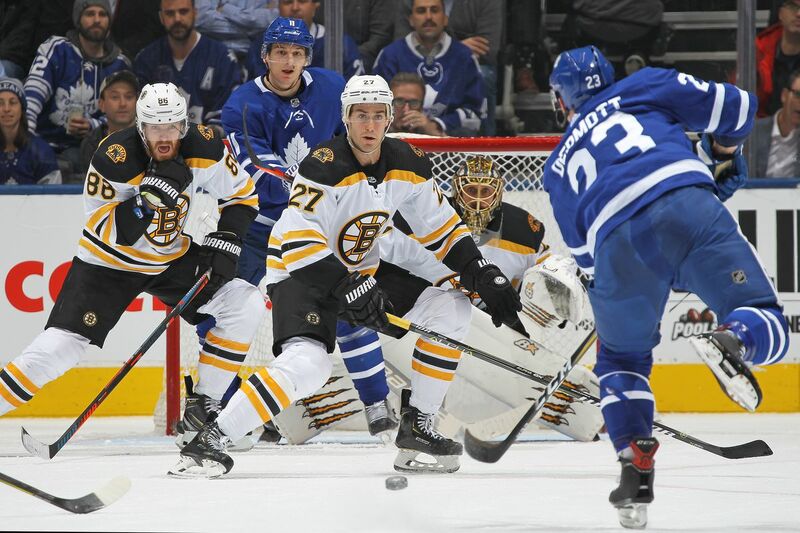 Krejci stayed in the fray of things when he drew a high sticking penalty within the final two minutes of the period. The Panthers lead in shots again, 7-5 in the period, 17-14 overall, but the Bruins made some headway towards a comeback. Florida’s two goals on the night to this point came on the power play, and they got an opportunity for another when Chris Wagner went off for tripping. Their power play didn’t last long as Barkov went off for a trip of his own to make it 4-on-4. A Marchand breakaway highlighted the 4-on-4, but no one scored. It was all about the penalties early on in the third as Torey Krug was the next culprit for hooking. Tuukka Rask made some huge saves on the penalty kill on some of Florida’s top players. Then, who else but Patrice Bergeron to even things up, and whilst shorthanded. 2-2 with around 11 minutes to go. Bergeron’s 24th of the season was assisted by Charlie McAvoy (15) and Marchand (51). The tie didn’t last long as Huberdeau gave Florida the lead back with his second goal of the game. Krejci drew yet another penalty in the last three minutes of regulation, giving the Bruins a huge opportunity to tie the game. With just around a minute to go, Rask was pulled for the extra attacker. That move proved fruitful as Matt Grzelcyk picked an ideal time to end his 48-game goal drought and tie the game. Marchand and McAvoy tallied their second points of the game on the assist of Grzelcyk’s second goal of the season. Remember what I said about Bergeron? Oh yeah, he scored another clutch goal. Seven seconds left, puck on his stick, game over. This Bruins team is something else. The point streak extends itself to 18 games. Brad Marchand’s third assist of the game was the lone one on the goal. The shots in the period were 14-7 Bruins, and 28-24 overall. Next up for the Bruins are the Ottawa Senators at home at 7 PM on Saturday.